Later this week, I'm headed to ALA Midwinter, where I'm sure I will discover a ton of upcoming books to be excited about. You can bet I'll be sharing those (kids and adult titles), probably on Twitter so make sure you're following me @abbylibrarian. But even before I head West to Seattle, there are some titles already on my radar that I'm excited for in 2019. Last week, I posted about some middle grade and YA books I'm looking forward to. Today it's time for adult books. 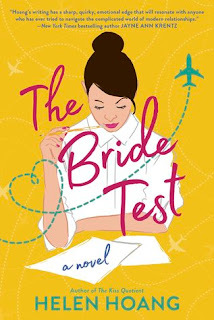 The Bride Test by Helen Hoang (Berkley, May 2019). I LOVED Helen Hoang's first novel The Kiss Quotient and I've been eagerly anticipating this book since it was announced. I'm crossing my fingers that there might be copies at Midwinter, but it wasn't in LJ's galley guide, so I'm not holding my breath. 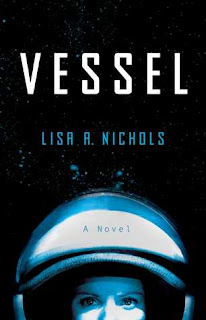 Vessel by Lisa A. Nichols (Atria, May 2019). This is being compared to The Martian, which I loved. Thriller set in space? Give. Me. Now. An astronaut returns to Earth after losing her entire crew to an inexplicable disaster, but is her version of what happened in space the truth? Or is there more to the story…. A tense, psychological thriller perfect for fans of Dark Matter and The Martian. 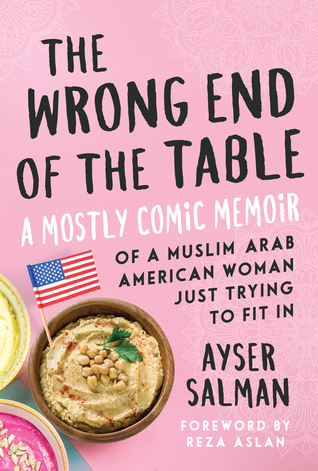 The Wrong End of the Table: A Mostly Comic Memoir of a Muslim Arab American Woman Just Trying to Fit In by Ayser Salman (Skyhorse, March 2019). 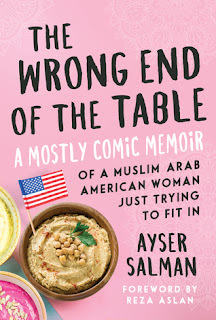 This one strikes me that it might be similar to Funny in Farsi and the middle grade novel by the same author It Ain't So Awful Falafel, which I loved. 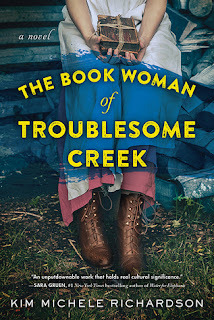 The Book Woman of Troublesome Creek by Kim Michele Richardson (Sourcebooks, May 2019). This historical novel based on Kentucky's pack horse librarians sounds fantastic. I've long been fascinated by the pack horse librarians. In 1936, tucked deep into the woods of Troublesome Creek, KY, lives blue-skinned 19-year-old Cussy Carter, the last living female of the rare Blue People ancestry. The lonely young Appalachian woman joins the historical Pack Horse Library Project of Kentucky and becomes a librarian, riding across slippery creek beds and up treacherous mountains on her faithful mule to deliver books and other reading material to the impoverished hill people of Eastern Kentucky. 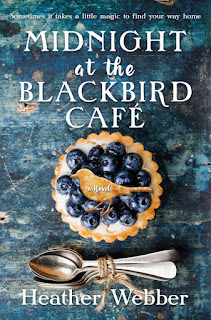 Midnight at the Blackbird Cafe by Heather Webber (Forge, July 2019). 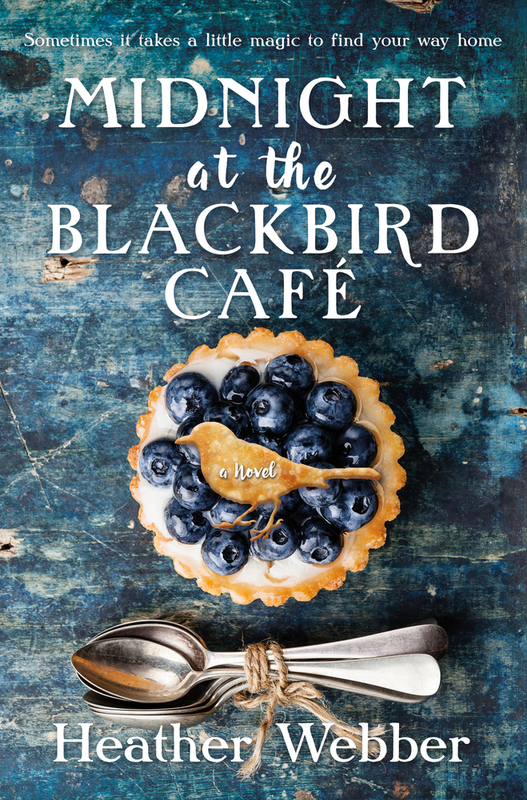 I've heard this title being compared to Sarah Addison Allen, who is a favorite author of mine. So there are a handful of 2019 books that I'm looking forward to. What else are you looking forward to?